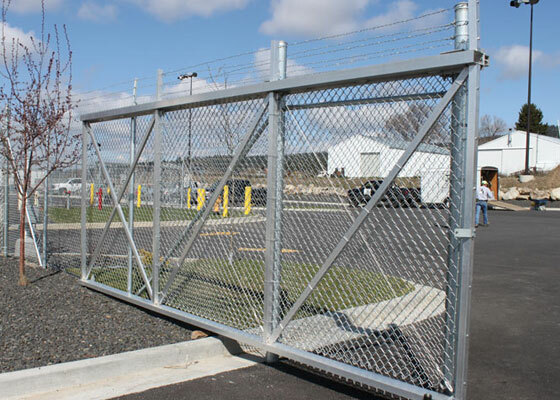 At Northwest Fence Company, our gates are built to the highest standards. For our commercial customers we offer an aluminum slide gate with an internal trolley system that is second to none. 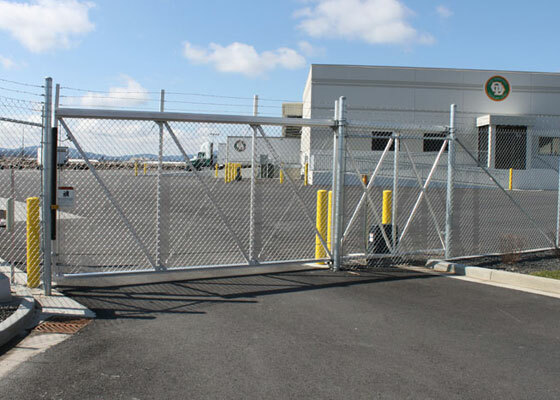 All gates are custom fabricated on-site to your exact dimensions and project needs.Gates can be installed by our experienced crews or purchased over the counter and you can install it yourself. In need of hardware? All of our trolley systems are available for retail purchase as well. Click the button at the bottom of the page to see a current list of the hardware we offer. For pricing give us a call or send us an email and our expert sales staff will assist you.